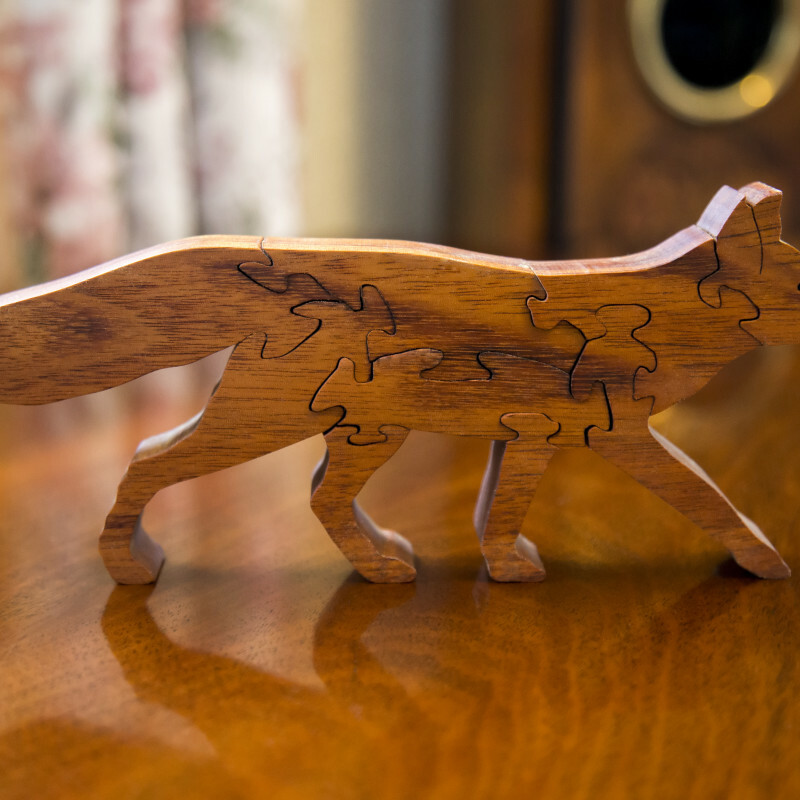 Hand crafted wooden items to delight the senses. A beautiful running fox cut from orange / red hardwood and finished with several coatings of mineral oil to bring out the grain of the wood and give a silky shine. 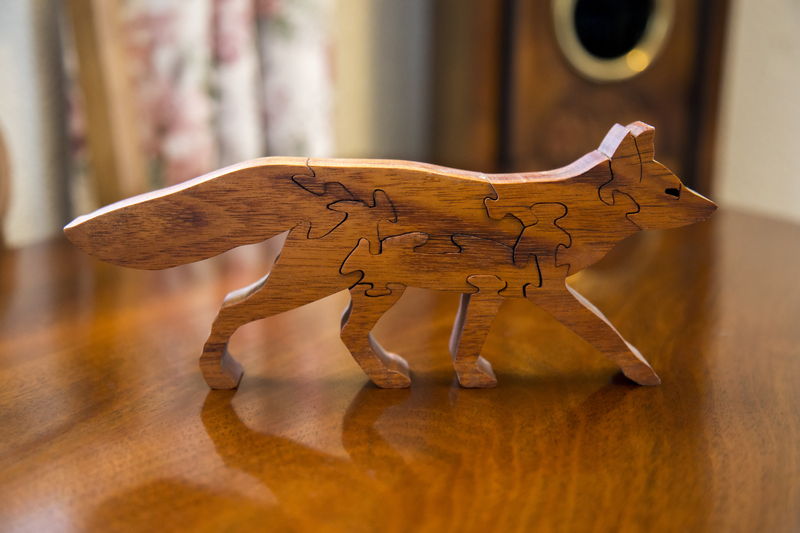 It works perfectly as an ornament, or as a simple jigsaw puzzle. 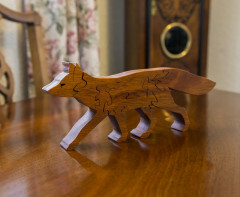 The fox is approx 24cm from nose to tail, stands roughly 10cm tall and is 2cm thick.